It is in moments of decision that your destiny is shaped. In order to create change, you must do two things: raise your standards, and turn your “shoulds” into “MUSTS.” When used together, these two tools form an unstoppable force for taking your life to the next level. Commit to using them and your life will never be the same again. RAISE YOUR STANDARDS – If you’re going to have lasting change in your life, you must raise your standards. The standards you set for yourself are the difference between getting okay results and getting extraordinary results. You shift your life forever the moment you raise your standards – so, right now, consciously decide there is a higher standard for you. TURN YOUR “SHOULDS” INTO “MUSTS” – Anyone who achieves something magnificent in their life turns their “shoulds” into “MUSTS.” As Tony says, “The difference between ‘must’ and ‘should’ is the life you want and the life you have.” When something is a must, you find a way. How do you do this? Get unreasonable. What’s unrealistic to average people is just unreasonable to extraordinary people. So be extraordinary, get unreasonable and everything becomes possible. 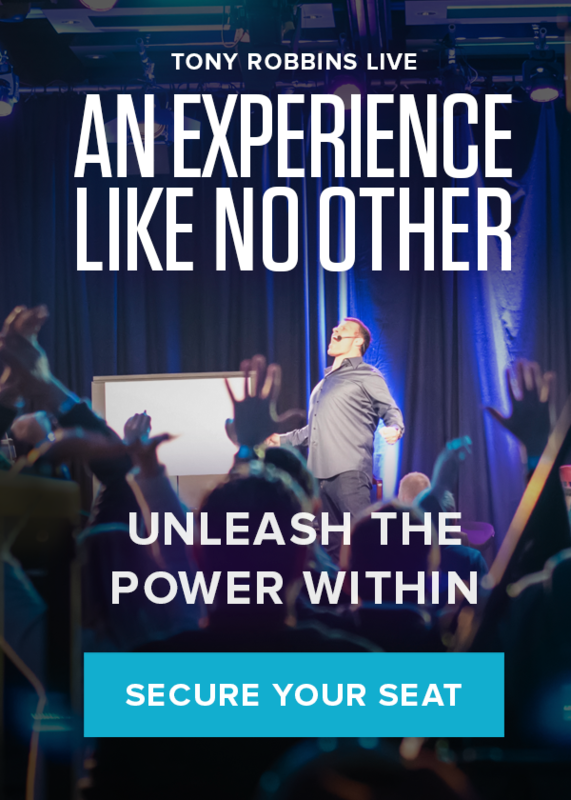 Unleash the Power Within is your chance to create the life of your dreams. The life you deserve.